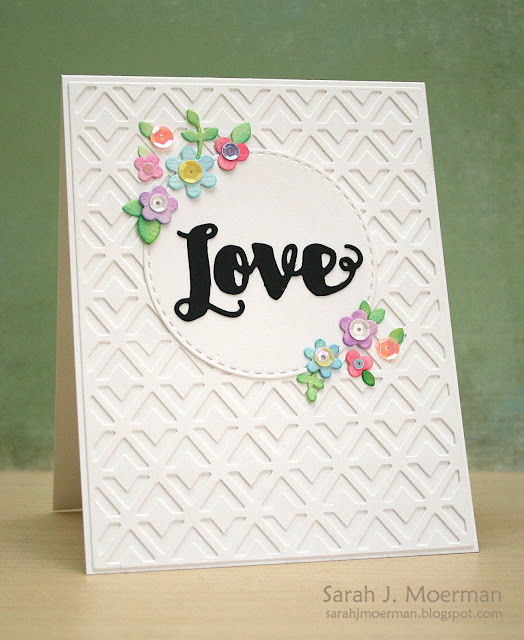 I'm popping by to share a card I made over the weekend using some beautiful Simon Says Stamp goodies along with some of Lucy Abrams gorgeous Shaker Selections. I die cut Simon's Triangle Pattern Background Die from Neenah 110 LB Smooth Solar White Cardstock and adhered it to a notecard made from the same cardstock. Next I die cut one of Simon's Stitched Circles Dies from the same cardstock and adhered it in place. I die cut Simon's Love Die from Simon's Black Cardstock and adhered it to the card. Next I took some Ranger Watercolor Paper and die cut it with Simon's Mini Flowers and Leaves Dies. I spritzed these pieces with some water, coloured them with Zig Clean Color Real Brush Markers, and gave them some shine with Tsukineko Sparkle Sheer Shimmer Spritz. Once dry, I adhered the flowers and leaves to the card and topped the flowers with some of Lucy Abrams Shaker Selections. Such sweet little flowers and I love that background die!!!! This is a beautiful card. Love all the die cuts. 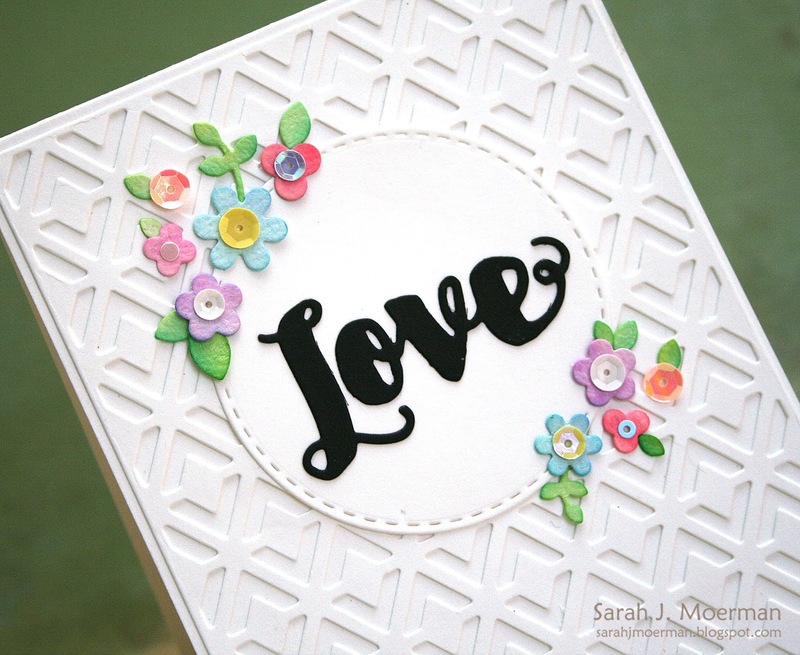 Really pretty how you combined all these dies to create this floral card.